– Direct marketing involves direct business. So it is cost beneficial for consumers, as there is no price hike due to wholesalers or retailers. – Marketing executives can state certainly of the exact response to their products. – The profit or loss can be more accurately judged. – Sometimes, direct mailing offends the customers and many do not endorse it as they say it inhibits their private lives. 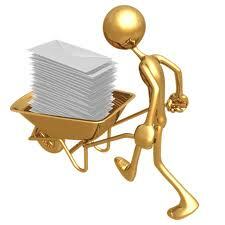 – Direct mailing: Here, paper mails are sent to the selected groups of people, who likely to give positive response e.g. the paper mails of latest food processor is sent to all homes where house wives are resident so that immediate response is seen. Also CDs can be used as demonstrating media. – Email Marketing: Here, emails are sent to all the selected customer categories with repeated intervals of time. But most of these are put into trash and spams. So the effectiveness of this form cannot be predicted. – Telemarketing: In telemarketing, calls are made directly to the consumers and the concerned product is advertised. People sit at call centers to sell products on behalf of their clients. But this form of direct business is quite unpopular and most people oppose the uninvited calls. It was initially made illegal but later on new laws were re-enforced and calls are now made only to those who don’t mind them. – Voicemail: Telemarketing created a lot of consumer opposition and consumers would abuse the ones advertising on the phones. In order to avoid this, voicemail marketing was introduced, wherein; the entire advertisement is digitally recorded and presented. – Use of coupons: Coupons are attached to direct mails and sent to the consumers. These generally advertise and give cost benefit to the consumers. So they avail these coupons and respond fast. – Television marketing: Advertisements are given on the television and demos are with toll-free call back numbers or certain websites for the consumer to get in touch with the manufacturers. – Broadcast faxing: This is the least popular form of direct marketing. The ads are directly faxed to the consumers. Direct marketing can thus become successful only if the entanglements with the consumer are good. It can be B2B or B2C. It measures exact consumer response.